I love Jake E. Lee. I saw Jake on that stupid TMS show as a guest guitarist. His playing was pretty weak, on the verge of embarrassing... Idk, maybe he was just loaded that day? Jake E. Lee answers fans' submitted questions at NAMM. I have bought a couple of post 2k cheap trick cds and robin zander's voice got richer and more power with age. Ofcourse I can't listen to the radio staple, I want you to want me/budokan for a long time now. But his bigger rock voice is very good, that new song above is good. I could have seen him taking david coverdales place on jimmy page's 93 record and doing well. To me, it would be alot more listenable. I have tickets for RDC. Looking forward to seeing them tonight! Special guest tonight in Tempe former Badlands Bassist Greg Chaisson will be filling in for Red Dragon Cartel Co-founder/Co-Producer/Songwriter/Bassist Ronnie Mancuso who is remored to be in the studio with Kiss guitarist Ace Frehley. 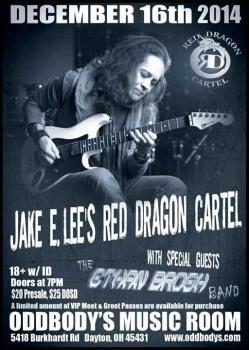 Jake E. Lee's Red Dragon Cartel Parts Ways With Singer Darren James Smith. Jake E. Lee will announce a new singer shortly. I haven't seen Jake E. Lee in ages...when he was still playing with Ozzy. He sounded pretty good then. 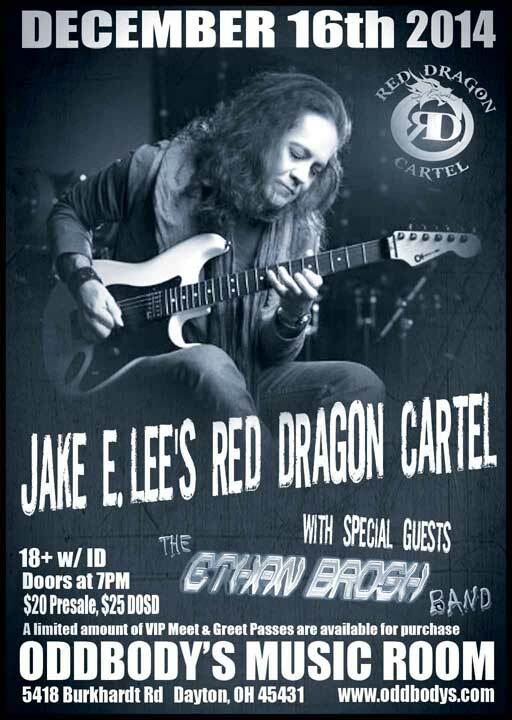 RED DRAGON CARTEL, the band led by former OZZY OSBOURNE and BADLANDS guitarist Jake E. Lee, has tapped singer Chas West (Jason Bonham, LYNCH MOB, 3 LEGGED DOGG) to front the group for its next round of tour dates, which kicks off this Friday, May 1 in Portland, Oregon. RED DRAGON CARTEL'S most recent vocalist, Michael Beck, played his last show with the band on April 26 in Ottawa, Ontario, Canada. Beck made headlines (see link below) earlier in the month when he inexplicably sand the lyrics to Osbourne's "Now You See It (Now You Don't)" while the rest of RED DRAGON CARTEL played "The Ultimate Sin" at their first show together in Miami, Florida. RED DRAGON CARTEL in March announced the departure of singer Darren James Smith and addition of Beck. Bassist Greg Chaisson exited RED DRAGON CARTEL last month. He said in a statement: "I'm afraid to say real life just jumped right up and got in the way of my good time. I can no longer take any more time away from my regular job. I want to thank everyone in the RED DRAGON CARTEL organization, and most of all, my best friend Jake E. Lee. And a very special thanks to all of you who have treated me so great! They will continue on without me and it will be fantastic as always." Chaisson's replacement in RED DRAGON CARTEL is Anthony Esposito, who has previously played with Ace Frehley. A new video interview with Esposito, conducted by Rock Music Star, can be seen below. Regarding how Beck landed the frontman gig in RED DRAGON CARTEL, Esposito said: "Greg had offered a replacement singer to Jake [after the band split with Darren], and that would be Michael. Michael did this East Coast run. And I don't really think Jake ever heard him sing [before]; I think Jake went on Greg's word. I think that's the way the situation went down. And he had a horrible first show; the Miami show. It's all over the Internet. He was singing the wrong lyrics. It's just not a good spot to be in; he kind of got shredded too." 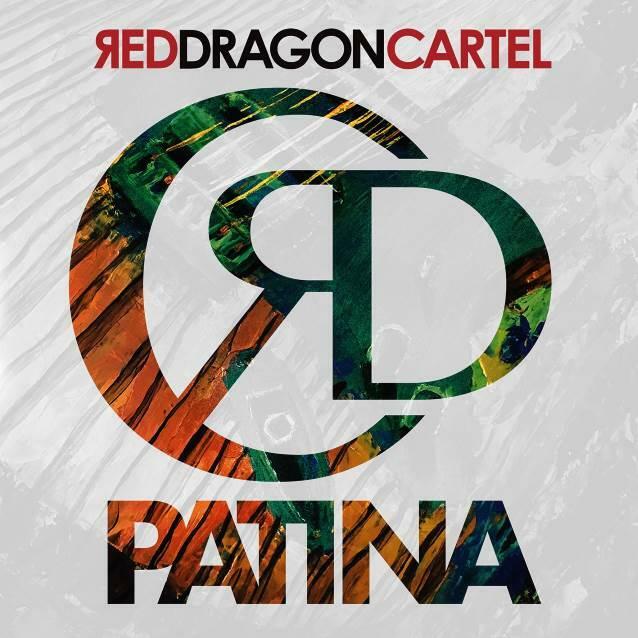 RED DRAGON CARTEL's self-titled debut album sold around 5,000 copies in the United States in its first week of release to debut at position No. 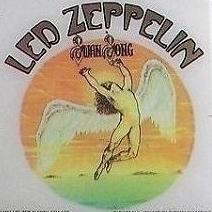 69 on The Billboard 200 chart. 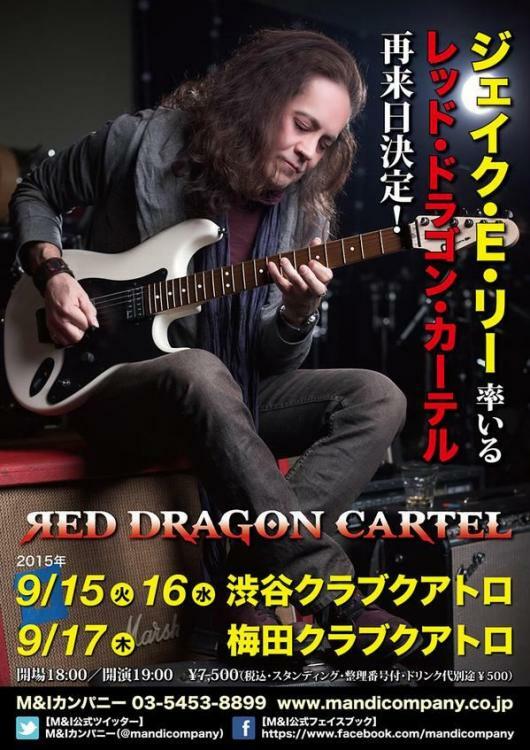 RED DRAGON CARTEL's setlist includes new material like the singles "Feeder" and "Decieved", as well as major hits from Jake E. Lee's glorious past: "Bark At The Moon", "The Ultimate Sin" and "Rock 'N' Roll Rebel" (all originally recorded by OZZY OSBOURNE), as well as "Shine On" and "High Wire" (BADLANDS). Red Dragon Cartel has recruited former Jones Street singer Shawn Crosby to front the group for the current tour. Original singer Darren James Smith is back in the band. Jake was the best post Randy Ozzy guitarist.